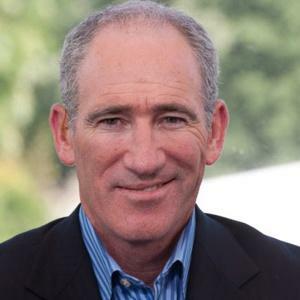 I want to make the dedications of this bloggings to Mr Bradlings (@bgtennisnation). For those that don’t know him, he is the equivalent in tennis in the same way Mr. Harmans (@NeilHarmanTimes) is to journos. You see being a GOAT I know the rules of the tennis game very well and you have to make all the advantages you can. Mr. Bradlings has written a book called, “Win even if not pretty”. For those not familiar with the metaphoricals, this means you can still win even when you are having a bad hair days. What am I making the referrals to? The rule books say you cannot receive courtside help. So I asked Mr. Bradlings for some special advice to dig Myself out of another Spanish (speaking) hole. I have a habit of getting Myself into these. However! This was completely legal because I used My FedBerry under the towelings. I received a swift reply with a very unusual tip to drink some cold beer. No other coach has ever said this to Me. This is where I went in the comfort break during the match. I enjoyed a small beverage, some olives and a little bruschetta. I felt so refreshed on coming back, I won!!! I must say this really should be the job of My current coach, Paul Aanaconda so I am thinking of making the replacements. Given this, for the final I am going to the Pub to really embrace this new approach and drink Myself under the tables. Once again, thank you Mr. Bradlings, the pleasure was all yours. For the record, Your hair looked terrific today. I was wondering if you planted that noisy baby who clearly did the screamings in order to put off DelPo, at first I was concerned it was going to distract you, but you must have reminded it that it would be fired if it did the screamings at the wrong time. How do you always keep your hair looking so good? Do you have special GOAT hair products? Today I missed your match due to my schedule, but was able to keep up with the results due to my younger sister. Jasmyn. 1.,Jasmyn has Twitter (@JasmynPhilippa) and is, without a doubt, the GOATS number 1 fan. 2. When the GOAT is performingn the pitch, jasmyn is ALWAYS watching, installing a projected screen so that she can watch the GOAT in a cinema setting. 4. Jasmyn is inspired by you, to move her passion for tennis onto her local courts, which she recently learned is not allowed by the north Berwick tennis club as she is not part of their group. She thinks this is because Andy Murray used to play here as a little boy. As jasmyns big sister I wanted to ask you opinions. Is jasmyns passion for the GOAT natural? Should she be allowed to play on the tennis courts in her hone town? And would the GOAT ever be so kind as to send her a tweet? If you could help me with any of this, please feel free to take time out of your busy schedule to help me with this matter. You have done your little sister proud. Tell her to go check her tweetings account. I read the tweet from Mr Brad. I recommended two double espressos but you dismissed my advice. What can I say.? Oh yes, it took you a hell of a long time to finish the match. Now about Sunday..have a few of the beers and try a few shots to follow on Saturday evening. I will be watching on Sunday and shouting GOAT..Go On Andy Triumph. Nuff said. congratulations on winning the gold medallion. The miniscule guys slaughterd each other and convicted Mr. Murry to take the final beatings. Please, do not get into an ugly battle with him, because if it is about being ugly, then he wins hands down. Even if you were to have a bad hair day tomorrow…. On the hair issue: Please not grow it too long. I remember when You did wear it longer, in a ponytail even, and it didn’t become Your great character. Your character then even reminded me of Mr. Bradlings’ (which was indeed ugly) and of that of He-we-won’t-speak-of-nomore-since-he-dropped-you-as-his-favorite-for-Wimbledon. Personally I liked Your evolving from pony to GOAT. If anything, You might consider a GOATee. But no ponytails…. Wishing You a lovely day and lots of rain for tomorrow, for Mr. Olympic Wimbledon to close the roof to ensure an under an hour final win in 1. Would You consider waving to me when they finally give the gold medallion to You (really, making You wait a week is cruel now that I think of it)? PS: I am still not sure about the Twitter technology, because it requirs short messages and I am not really good at that (winkings). That whole section was brilliant. Followed. I’m glad my little bloggings brought a smile to your face Arvis. The life is too short and we should all take your advice and do the enjoying.